Cheesecake is one of my favorite desserts. As much as I love it, I realized that I haven’t shared many of my favorite recipes for cheesecakes on this blog. 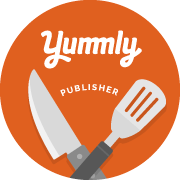 So, I will be making an effort to get all of my cheesecake recipes on this site in the near future! I remember a time when my mom made mini cheesecakes for get togethers and parties, and wouldn’t you know it, I was in love. It didn’t matter that they were individual servings, I would manage to have several when they were being served. Most of the time my mom topped these little treats with cherry pie filling along with blueberry pie filling, which is delicious and very pretty. Because I love chocolate, I thought a turtle topping would be great, so I used mini chocolate chips, melted caramel and chopped pecans. The pecans I used are actually from our pecan tree in our front yard, so it always feels extra special when I use them. Enjoy! Place a muffin tin liner in muffin pans. Separate Oreos and discard filling. Place 1 chocolate wafer in the bottom of each liner. In a medium bowl, combine cream cheese and sugar. Add one egg at a time, beating between additions. Add vanilla and lemon juice, beat until well combined. Spoon cream cheese mixture over wafers in tins, filling each tin ¾ full. In a small mixing bowl, combine caramel bits and water. Microwave on high for 1 minute, then stir. Continue microwaving in 30 second increments, stirring each time, until melted; set aside. 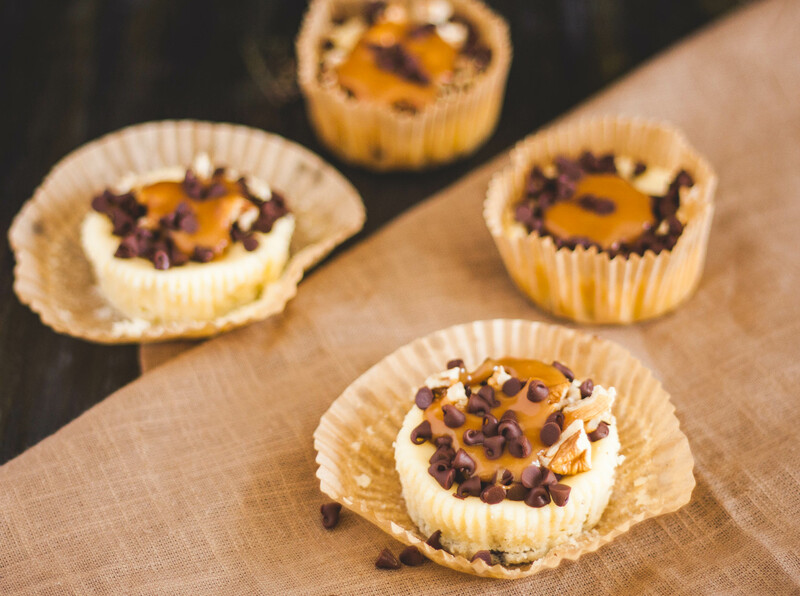 Remove cheesecakes from oven and immediately sprinkle the tops with chocolate chips and pecans. Refrigerate for at least 30 minutes to firm up the topping.